OWS, Banks, Democrats, Obama and Money that really talks. Don’t you remember the 5th of November? Guy Fawkes, member of the Gunpowder plot was arrested for the plot of an attempt to blow up the House of Lords on November 5th, 1605. Now 406 years from that day, on November 5th 2011, there is a call for all people in this country to move their money from the Big Banks Bank of America (BAC) Wells Fargo (WFC) Citigroup (C) J.P. Morgan Chase (JPM) to local community banks. 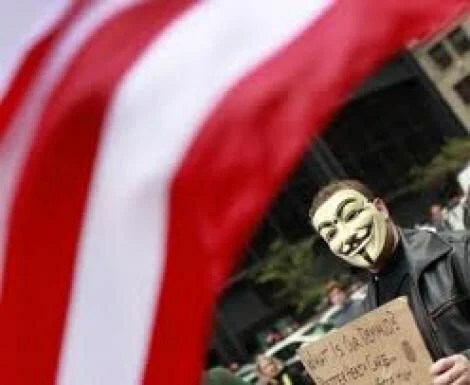 Now, to gain some political power, the OWS protestors should ask all Democratic officials that don’t have money in a credit union account to do the same. In my experience Money talks and BS walks. Lets see who really steps up to the plate for the OWS. Logan Mohtashami is a senior loan officer at his family owned mortgage company AMC Lending Group, which has been providing mortgage services for California since 1988. When it comes to investing, you cannot settle for anything less than the fastest and most efficient news feed. That is why we created Benzinga Pro. Sign up for a free trial today! (c) 2011 Benzinga.com. All rights reserved. This material may not be published in its entirety or redistributed without the approval of Benzinga.